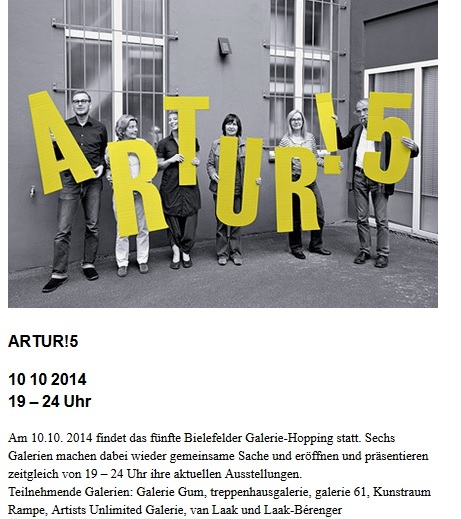 Friday October 10th is Artur!5 when 6 galleries will open from 19:00 to midnight. You can see them all on the flyer here. It’s a fun evening of art and culture! There has quite a bit of discussion this year as to whether Bielefeld is a city that supports culture. Neue Westfälische held a series of lunch conversations in the Sou Fujimotos wood house outside the Kunsthalle to discuss the topic. They make interesting reading. Spring is upon us, a time for renewal after the long dark winter. All around us evidence of emerging life: Flowers in blooms, trees in bud. The perfect time, then, for that Spring clean: Out with the old, get rid of the junk. Or is it? After a visit to Upcycle shop “die Schrottwichtel”, in Neustädter Strasse I am beginning to change my mind. 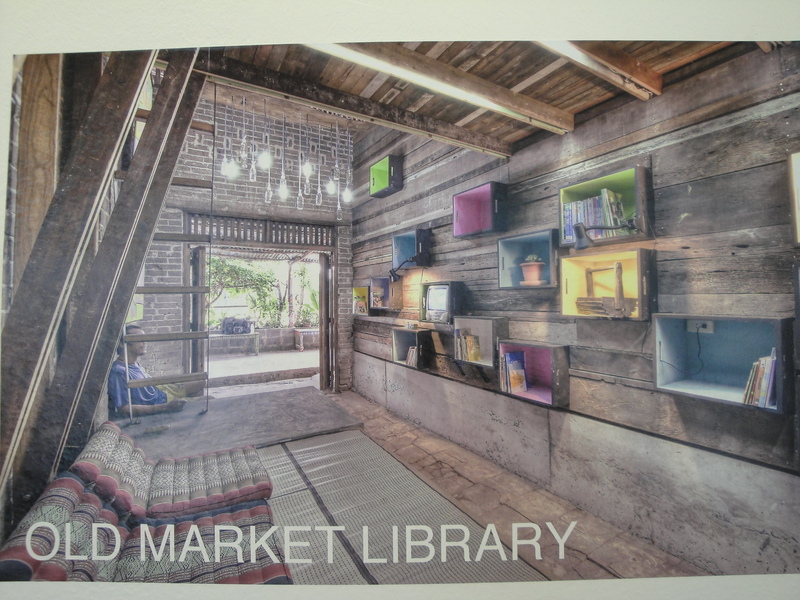 Speaking to one of the co-founders, Katja Reincke, I am inspired by her passion for turning junk into treasure. 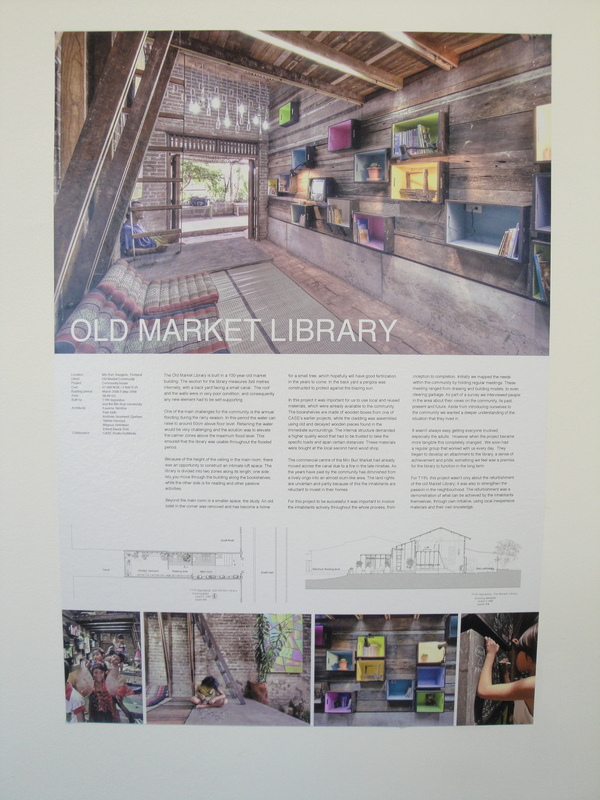 She specialises in metal, sourcing her material in recycling centres and scrap-yards. She transforms ordinary household objects and scrap metal into ornaments and figurative sculptures. She delights in showing me around the shop: Bags and belts, which at first don’t seem unusual until a closer look reveals they are crafted from such diverse materials as bicycle tyres, children’s armbands, vinyl records and my favourite, a hardback book. 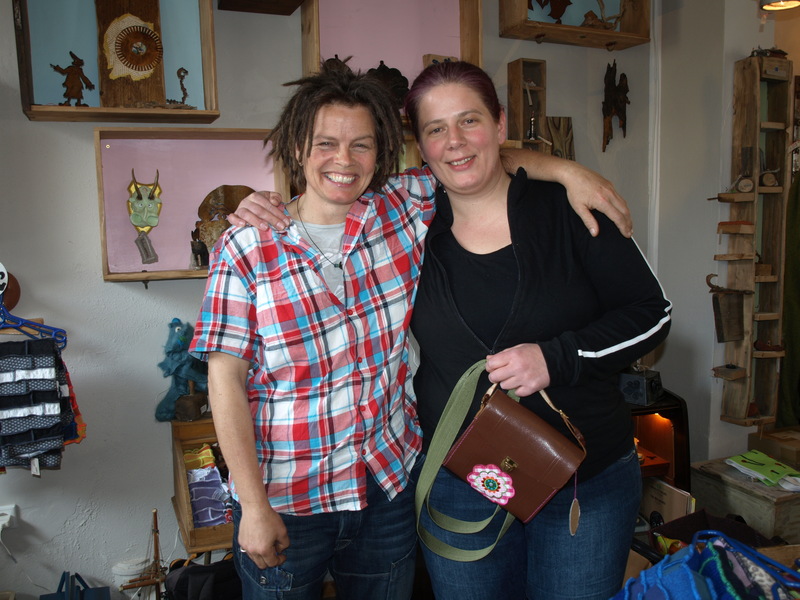 Katja tells me that the aim of the shop is not to turn over a profit, but to convince people not to throw away so much stuff and to see the potential in the things we assign to the scrapheap. The only rule in the shop is that 60-80% of the objects created must originate from junk. An old suitcase lid lined with a map becomes a display-shelf, old children’s books are turned into envelopes and boxes. Once discarded clothes are transformed into attractive jackets and skirts using an overlock technique. By the way, ‘Schrott’ means junk or scrap and ‘Wichtel” means ‘pixie or imp’ in German. You could almost imagine pixies to be at work when you see the ingenious ideas at play. So before you think of throwing something away, Katja suggests it is worth popping by the shop to see if it can be upcycled. Either one of the 6 strong group can find a use for it or you can also take part in one of the upcycle courses on offer. Non-German speakers are also welcome. 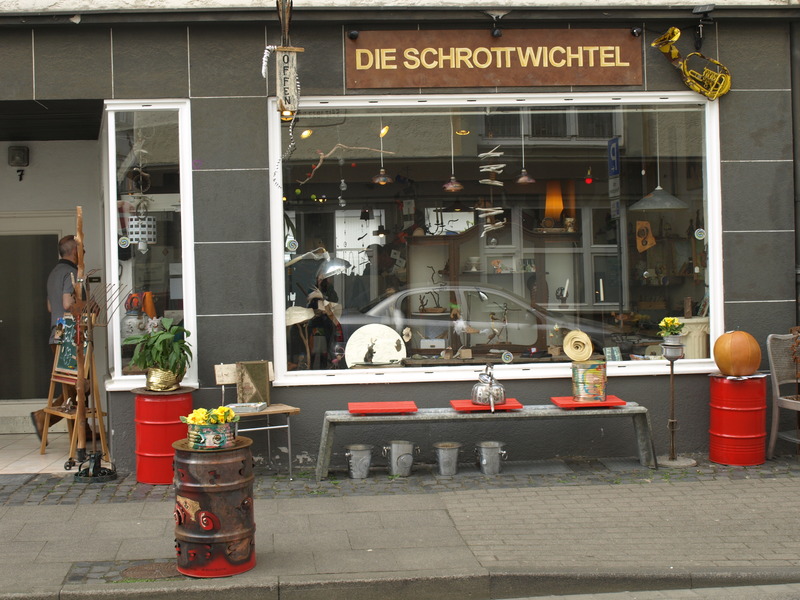 You can check out their website at www.dieschrottwichtel.de and the shop is open 10.00 – 18.00 Thursday and Fridays and Saturdays from 10:00 – 16:00. Tel 0521 9886284 Neustadter Strasse 7, Nr tramstop Landgericht. You can also visit it at the Bielefeld museum night on Saturday 27.04.13 until 23:00. 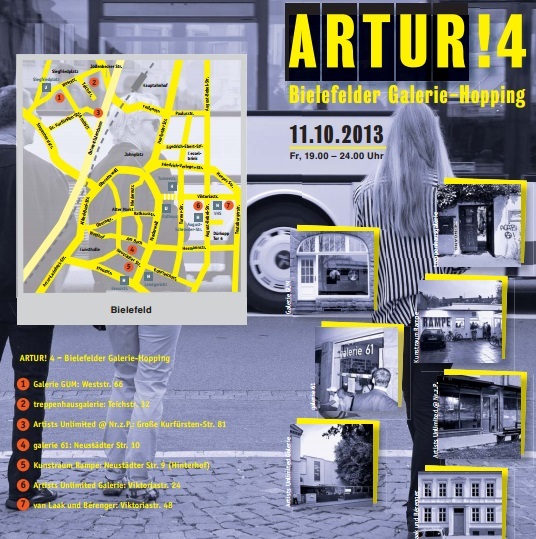 Bielefeld’s Museum Night is on Saturday! April 27th is Nachtansichten, probably my favorite event in Bielefeld. For a flat fee, you can enter all participating museums, art galleries and churches around town, which stay open until 1 a.m. Tickets cost 8.80€ in advance, and you can order them online or get them at the tourist office. Children up to 14 years old can enter for free. Going to the Museum Night last year was a real eye-opener for me, both in terms of what Bielefeld has to offer and how much fun the town can be when the weather is nice and everyone is out enjoying it! Even if you get museum-ed out, there is food, music and a light display in the Altstadt. We went to 3 different museums last year and spent the rest of the time just walking around and enjoying the night.